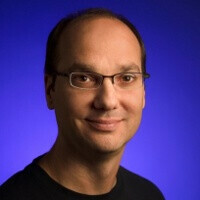 After an intense late night unveiling of Android 4.0 Ice Cream Sandwich and the GALAXY Nexus, Andy Rubin, the main man driving Android development and former Apple employee, went on stage at the AsiaD: All Things Digital conference. Among the topics discussed was Apple’s post-Steve Jobs era and how will the company change after that. Andy Rubin was with Apple for three years from 1989 to 1992 as a manufacturing engineer, but later he also worked for another three years in an Apple spin-off, General Magic, where he developed an OS and UI for mobile devices, so he definitely knows a thing or two about the Apple “DNA.” Do you agree with him, or are the weaker-than-expected financials Apple just announced a sign of a future decline? With or without Jobs, business is up business is down. It may be the declining time for Apple. i think the decline has more to do with the staleness of a 3.5 inch screen and how the iphone compares against the top android sets, than it does with Jobs. steve's death hasnt affected a quarter yet.. that report wont be out till 2012. I think both happened in the same day, correct? The Galaxy Nexus was announced in the morning, Hong Kong time. ITS POSSIBLE APPLE WILL END UP SERVING ITS CUSTOMERS BETTER WITHOUT JOBS.... now maybe all new technology wont take as long to get into the consumers hands. Heck, if he had passed last year, its possible THIS iphone would have been 4G. couldn't agree more. They will always have cool stuff, but it's time has come and gone...again. it's business. Steve Jobs was a visionary whereas Tim Cook is a logistics man. That's two entirely different business personalities at the helm successively, romance vs reason. There will be a change in Apple. I'm sure their future plans are already in development and there's a path laid out so I wouldn't expect a major change for another 3 years.